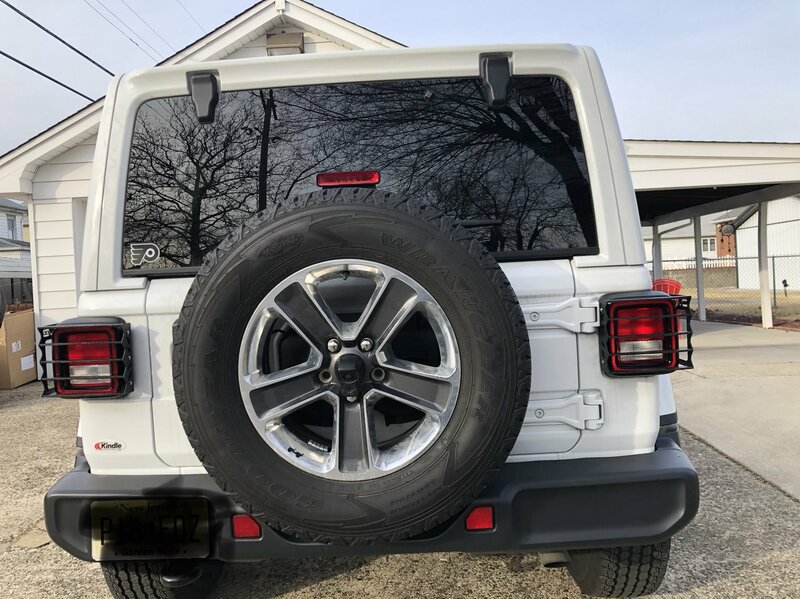 When taking your Wrangler JL out on the trails make sure you don't over look protecting your tail lights from off-road debris. 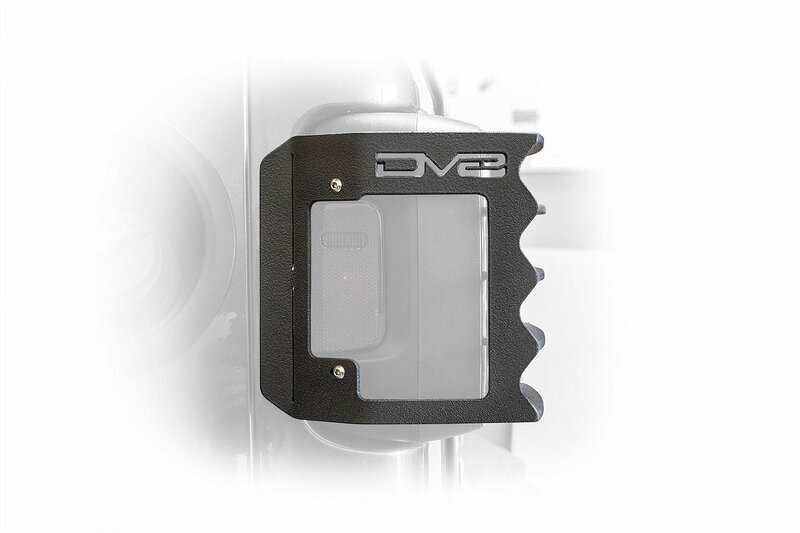 These Tail Light Guards from DV8 not only keep your tail lights safe but they also add some style to your Jeep. 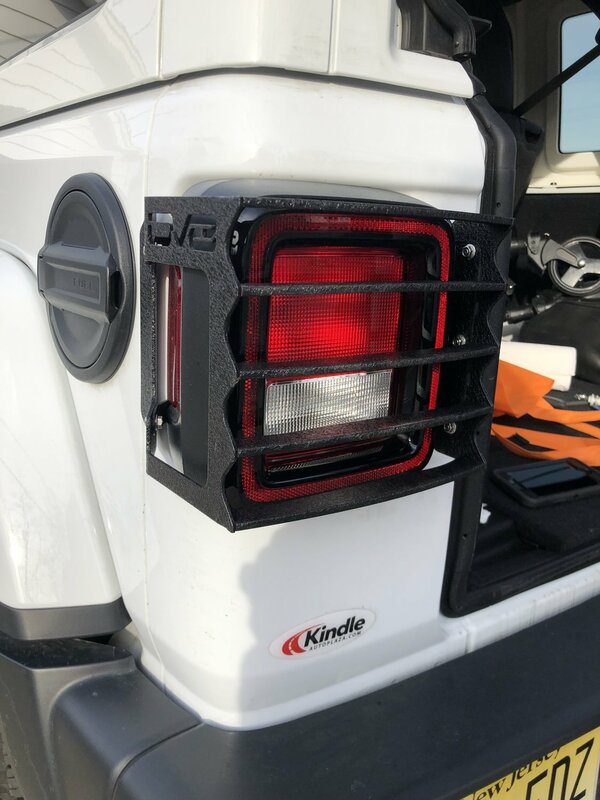 Made from steel these guards will give you peace of mind as you transverse the trails knowing your tail lights will be protected from damage while on the trails. 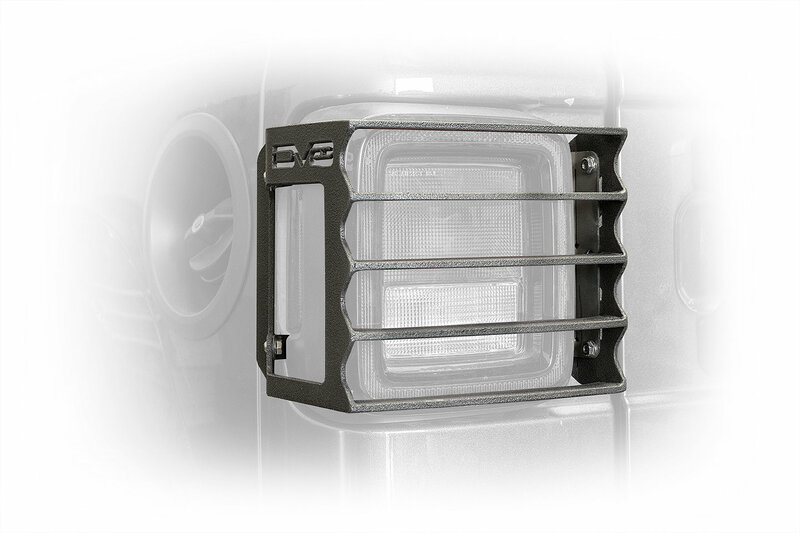 Protection: These guards fit over your tail lights to protect them from debris that you might encounter such as tree limbs or rocks that kick of while you are having fun on the trails. 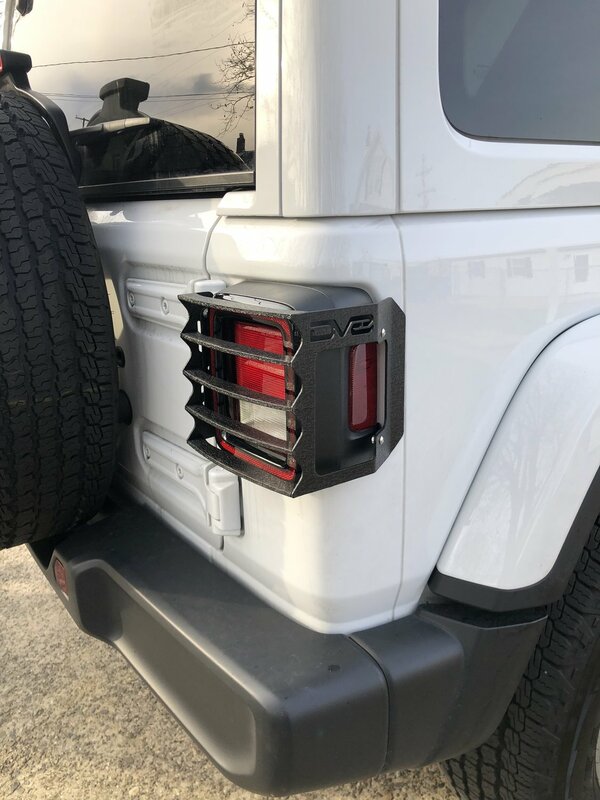 Construction: Made from quality steel to take abuse instead of your tail lights then powder coated to give you a long lasting look against rust. 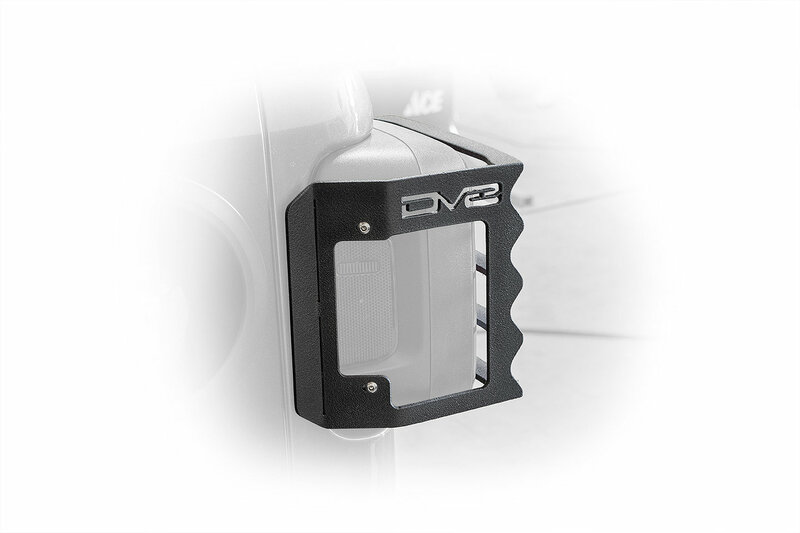 Style: These tail light guards give your JL a sleek look while sporting a sharp looking DV8 logo on the sides. 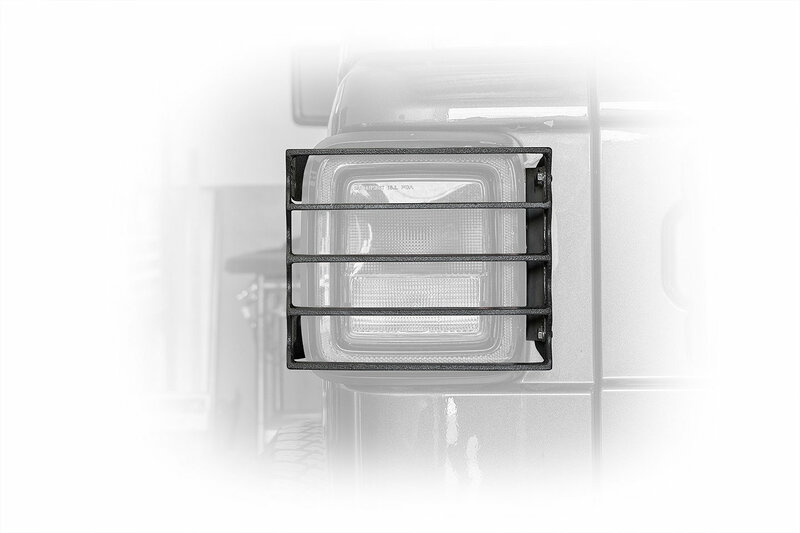 Will these work with blind spot detection? 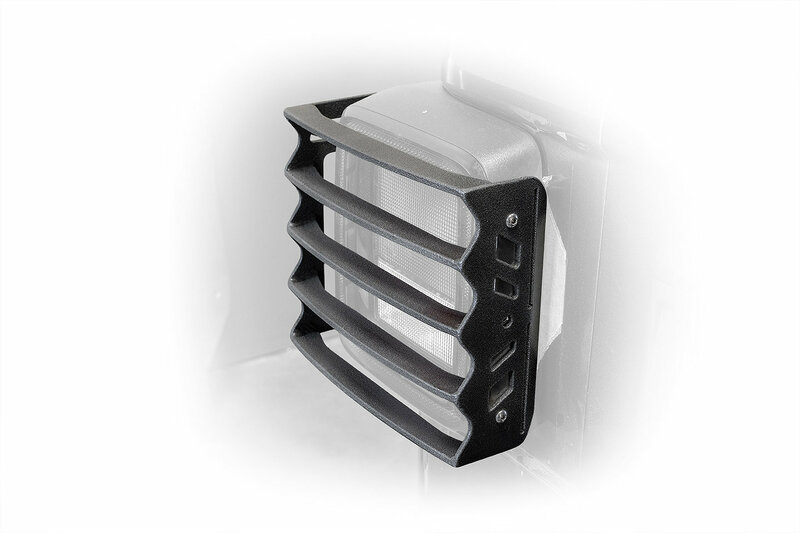 No, these guards are only compatible with tail lights without sensors.